From a small personal site to a corporate e-commerce website, pSek has the web hosting solution that is right for you. 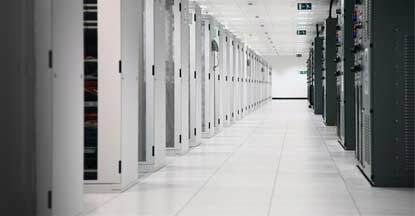 We own and operate our own datacenter located in a 24 hour guard manned security building. A) We Own and Operate our own Datacenter Space - Most huge hosts like Godaddy, Yahoo, Hostgator etc.. lease servers from the Planet or other collocation or dedicated server companies and when there are issues they have to contact The Planet or the company they are leasing their servers from and that company has to call a tech and it just adds a lot of steps and obviously time. With our company, since we own and operate our own datacenter space, if there's ever an issue, we have a tech who works in the NOC monitoring everything 24/7/365, simply fix the issue right away. He doesn't have to call another company, be put on hold while they call the tech, etc. He just steps into the Datacenter and replaces the hardrive or adds more RAM or reboots the server, whatever needs to be done. B) Eco / Green - we use efficient power supplies in all of our servers, which significantly lowers power consumption up to 50%. D) Fully Route Optimized Network - Our entire network is fully redundant, so there's no single point of failure. Clients that need fast load times love us bc we have an FCP that ensures data from our server travels at the fastest possible speed to it's destination. For example, if a faster route is clogged with traffic our FCP will find the lowest congested path for the data to travel which ensures the fastest possible load times which is appealing to bloggers, e-commerce clients, streaming sites, video games/music, and anyone who wants their site to load fast around the world. F) Upgrade Options - clients can go from a $6.99 account all the way up to a fully managed 10 server cluster. With most huge hosting companies like Godaddy or hostgator - they don't have the expertise to offer fully managed clusters. G) Support - All of our admins are Level 3 - so unlike most companies where level 1 techs need to escalate issues they can't handle to level 2 and then level 3 - with us we eliminate those two escalation steps and clients are dealing directly with a Level 3 admin who is capable of solving any technical issue that arises. We also have some of the fastest tech support response times (within 5 minutes) at our help desk and toll free phone support as well. Need to check a support ticket? It’s a different login.